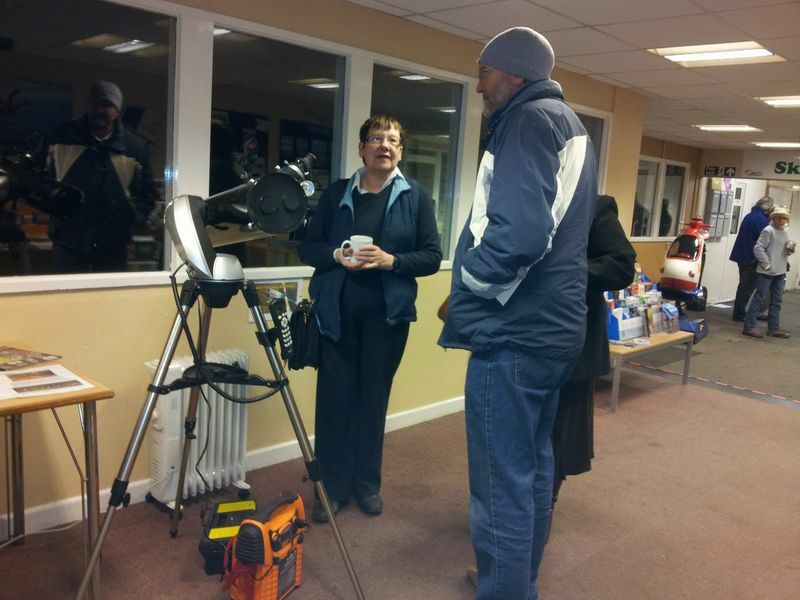 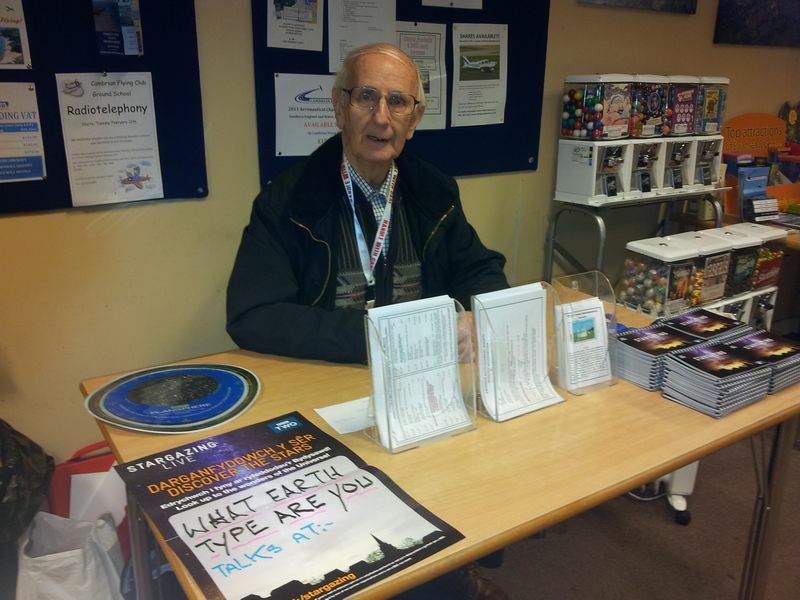 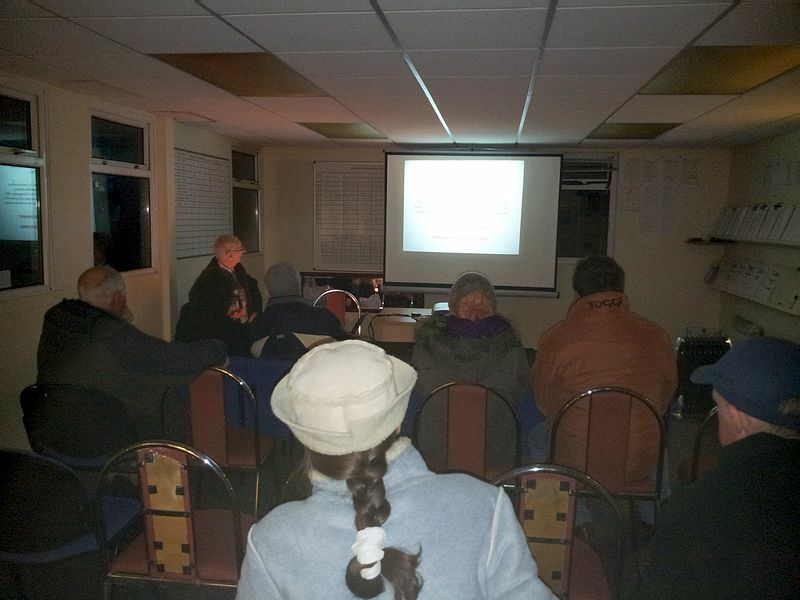 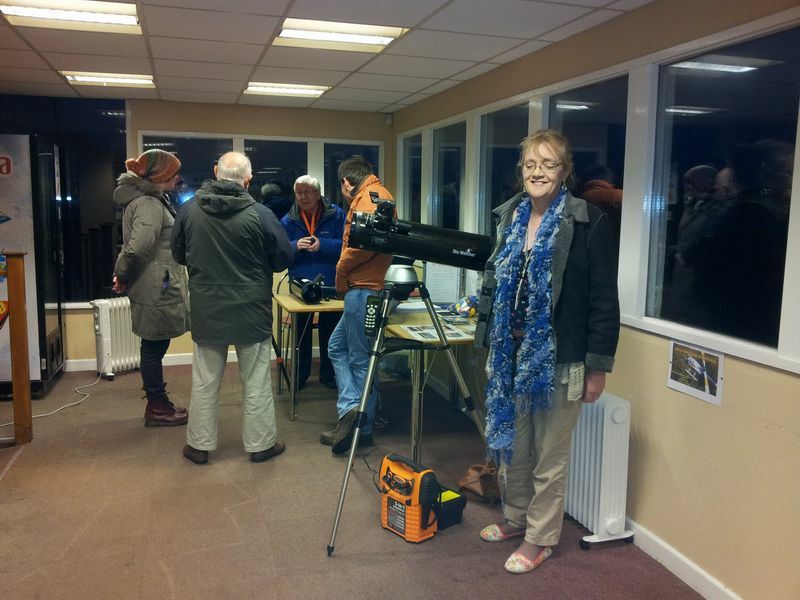 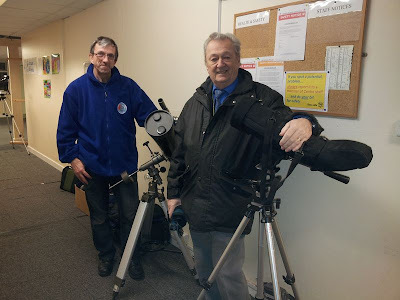 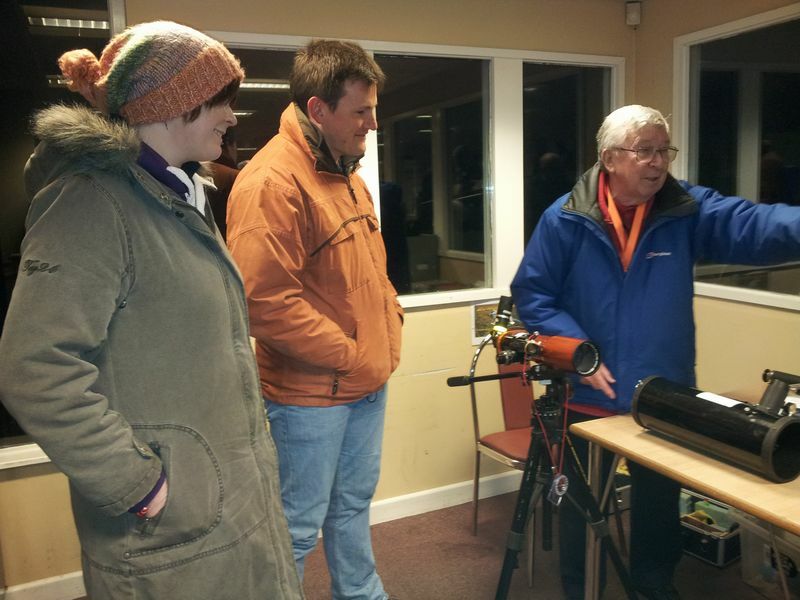 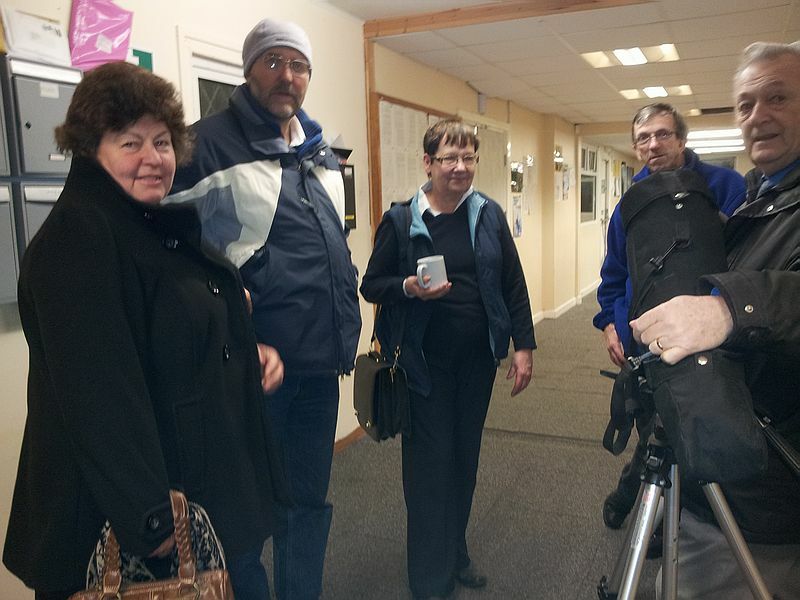 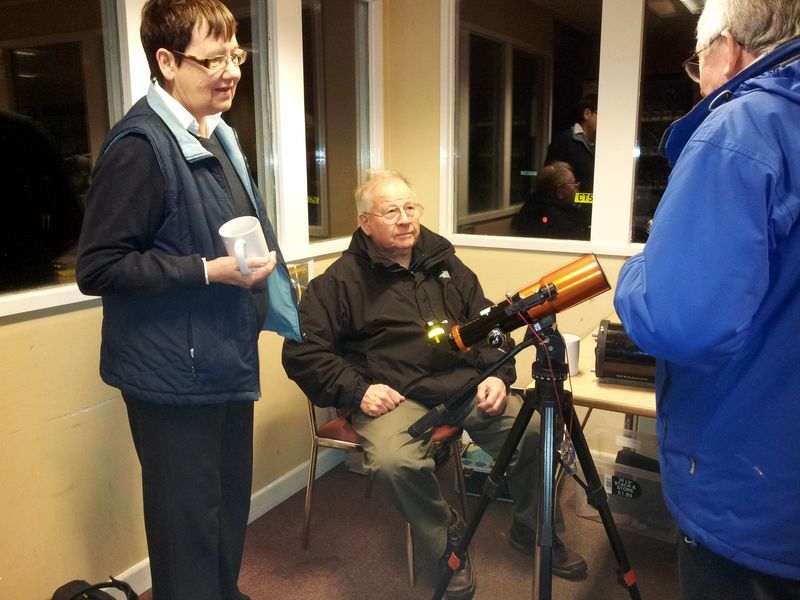 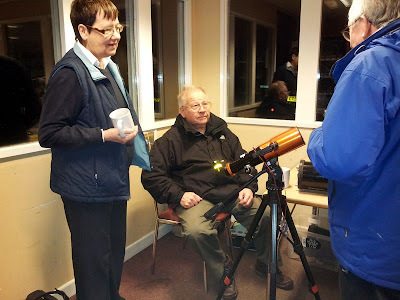 The weather was bad and few people braved the rain to attend the Star Party at Swansea Airport. 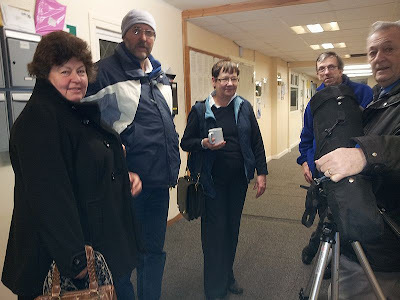 However, those who did, found that the cafe has been completely refurbished and is now a pleasant, warm environment in which refreshments can be taken. 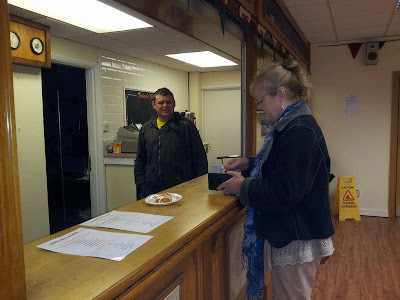 The cakes and the bacon sandwiches were excellent. The airport cafe is well worth a visit. Brian Stokes welcomed visitors and gave a talk entitled "What Earth Type are You?"